A quarrel soon erupted into a brawl pitting Iverson's young black friends against a group of white patrons. The fallout from the fight and the handling of the subsequent trial landed the teenager -- considered by some the nation's best high school athlete -- in jail and sharply divided the city along racial lines. Oscar nominee Steve James ("Hoop Dreams") returns to his hometown of Hampton, where he once played basketball, to take a personal look at this still-disputed incident and examine its impact on Iverson and the shared community. When I first heard that ESPN was launching this ambitious effort, I couldn't believe it. This was not to be a typical sports series that attempted to cover all the bases of what has happened in the world of sports in the last thirty years. I love the idea that ESPN wanted to work with independent filmmakers with the goal being to make films, not just smart journalism, about subjects that the filmmakers care passionately about. That's why they responded so strongly to my idea: To go back to my hometown of Hampton and revisit a pivotal moment not just in that city's sports history, but in it's social and racial history as well. Sixteen years ago, Allen Iverson was a junior at Bethel High School when he became involved in a racial bowling-alley brawl. That incident and the subsequent trial became Hampton's "O.J. Trial," dividing the city largely along racial lines and bringing the issue of race into the public arena for perhaps the first time in the city's history. As a native of Hampton who grew up and played high school basketball there this story resonates for me in very personal ways. My late father was a star athlete and inductee into the Hampton Sports Hall of Fame. My mother (who still lives in the house I grew up in) became the school nurse the first year the city integrated its all black high school. ESPN really responded to the idea that I will make this something of a "first person" exploration, where I can also draw upon my own experiences of sports and race relations in the course of the film. Ultimately, I wanted to revisit what happened 16 years ago so I can learn what the lasting legacy of it is for the city's black and white communities, and for Allen Iverson himself. I hope this film can have something to say, not just about race and sports, but race and American society at this particularly crucial moment in our country's history. 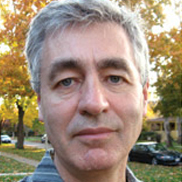 Steve James is the award-winning director, producer, and co-editor of "Hoop Dreams," which began his longtime association with Kartemquin Films in Chicago. "Hoop Dreams" won every major critics award as well as a Peabody and Robert F. Kennedy Journalism Award in 1995. The film earned James the Directors Guild of America Award and the MTV Movie Award's "Best New Filmmaker." Recently, "Hoop Dreams" was selected for the Library of Congress' National Film Registry, signifying the film's enduring importance to American film history. James' next documentary, "Stevie," won major festival awards at Sundance, Amsterdam, Yamagata and Philadelphia, and was nominated for an Independent Spirit Award. The acclaimed feature landed on a dozen "Top Ten Films of the Year" lists for 2003. James was also an executive producer, story director, and co-editor of the Kartemquin PBS series, "The New Americans," which won two Chicago International Television Festival Golden Hugos, and the prestigious 2004 International Documentary Association Award for Best Limited Series for Television. In 2005, James completed the documentary "Reel Paradise," his fourth film to premiere at the Sundance Film Festival. James served as producer and editor of "The War Tapes," a documentary, comprised of video footage shot by American soldiers in Iraq. The film won the top prize at both the 2006 Tribeca Film Festival, and the inaugural 2006 BritDoc Film Festival. Most recently, he co-produced and co-directed with Peter Gilbert the acclaimed "At The Death House Door," which won the top prizes at the Atlanta Film Festival, DOC New Zealand and DOC Tel Aviv, the Inspiration Award at the Full Frame Documentary Film Festival, and aired on IFC-TV. "At The Death House Door" is James' fourth film to be officially short-listed for the Academy Award. James' dramatic films include the theatrical feature "Prefontaine" (1997), which premiered at Sundance, and cable movies "Passing Glory" (1999) and "Joe and Max" (2002), which was nominated for an ESPY Award.